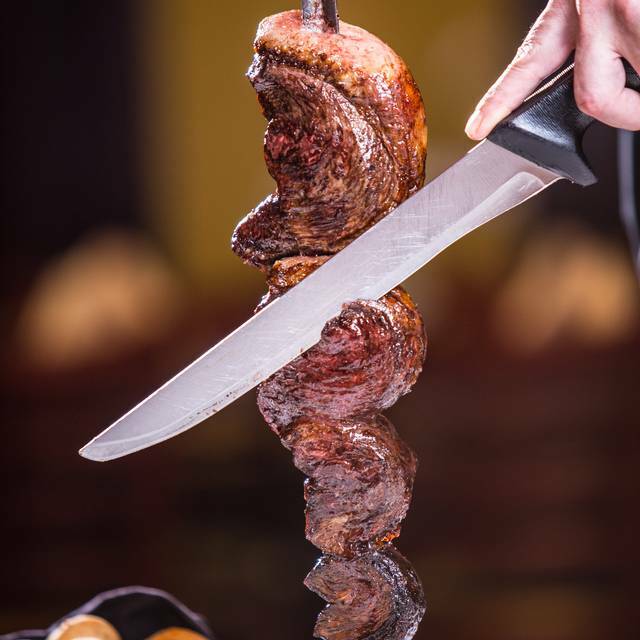 Lunch with Ala Carte Menu with Brazilian Flavors- Daily Mondays Tuesdays and Wednesdays from 11:30am to 3pm.Happy Hour is Daily all night and Fridays and Sundays 5pm to 8pm.Sun day Brunch is from 10am to 2pm last reservation . 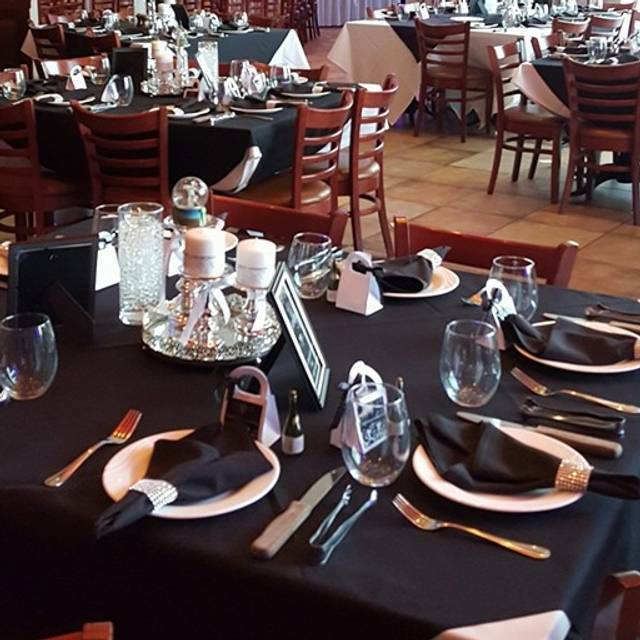 Please call or text Anna at 702-884-5364 or visit our website for information on catering options. 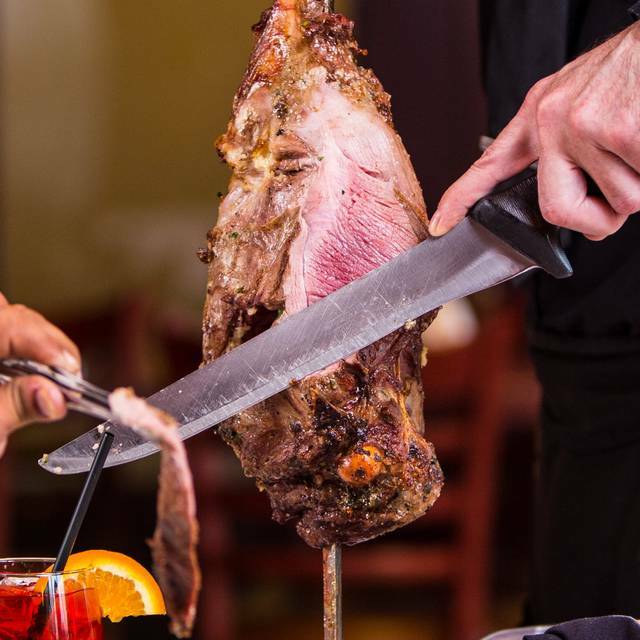 Via Brasil Steakhouse is a Brazilian Steakhouse located in the Summerlin area, offering Rodizio Style Brunch and Dinner, featuring prime cuts of 21 Meats served tableside, Gourmet Appetizer and side dishes AYCE. We eat here fairly often and we’ve always had a great experience! The service is amazing, the food is fantastic and it makes for a very nice evening every time!! Much better without the festival night blinding you from their theatrical lights. The food is flavorful and abundant. Servers are friendly, but they forget the special order meats. If you don't ask for the meats with a *, you will never see them, which isn't a bad thing because you can ask for a specific temperature. Pretty loud and isn't easy for hearing-impaired people to understand the conversation. Good place to be an assertive vocal customer. Overall, I have to give this restaurant a four stars as the meat we were served was amazing. The restaurant is lacking in regards to salad bar options and service. While service was not bad, it was not great. I server did not come by our table much and when we asked for more shrimp, it took about 10-15 minutes and asking four people for more shrimp. I will definitely be coming here again, hopefully service will be better the second time around. Great selection of food and valued well! The only thing about ambiance that was a turn off to me was the giant screen with the sports channel on. Food overall was great! The brazilian pork was a bit dry but the bbq pork rubs and leg of lamb definitely made my mouth water. The ribs just fell apart and melted in my mouth. Same with the lamb! Would love to go again when in vegas next! Muy buen servicio, la comida excelente y el trato especial. Gracias ! I would before last night seemed to not have med well my date watched for the fit 15 min as I ate. Slow service with meats, we kept having to ask for what we wanted vs the servers coming around. I didnt see 21 meats, youre lucky if you have 10 kinds. Not worth the money. But our server Gerardo was awesome! It was AMAZING! I was in town visiting my son and decided to try Via Brasil. My son lives a block away but had never been. I made the reservation and the three of us went in. We were greeted pleasantly and since it was Monday, we were seated quickly as it was not very busy. Our waitress explained the way that it worked (my boyfriend had never had a Brazilian steakhouse experience) and took our drink order. We started at the salad bar. It well stocked and very clean. The meatballs and the black beans and rice were DELICIOUS! None of us could stop talking about the meatballs. I could simply get those and be satisfied. When the meat was served, it was very hot and we were able to select how we wanted it cooked. The prime rib is what dreams are made of! The lamb chops were also outstanding. What made the experience even more awesome was the personal attention that we received from the head chef. He came to the table to personally welcome us and to inform us of the new brunch that had been implemented recently. He was very nice and attentive and that definitely made an impact on us. Overall, great food, great location and excellent staff. I can't recommend it enough! This place was definitely NOT worth the money. 3 people with two drinks total was $175. The place was freezing. I was literally shivering with teeth chattering and I asked them to turn the heat up. They said they would but didnt. Our waiter was MIA most of the time and we'd have to go searching for him. There was a baby SCREAMING but nothing was said to the couple (who brings a baby to an expensive restaurant) and it was a 15 minute screech session. It was a miserable experience. Everything was on point. The meat was well seasoned and cooked. Differently one of my favorite places to have steaks and salads. Great customer service with friendly greetings l.
Stage lighting shines in your face when their dancers are roaming around. You're lucky to see half of the 21 meats. Staff seems annoyed. Breakfast was disappointing. Menu was confusing and had to be explained??? Only one waiter who we recognized from dinner. His service at breakfast was inefficient -- two of us dining and one had to wait for entrée while the other started eating. Items were missing and had to be brought after entrees were served. No refills on coffee is basically unheard of at breakfast/brunch! Love this restaurant for their dinners, but probably will not give breakfast another try. Carnival music was loud but fun atmosphere. Slow service with meats, we kept having to ask for what we wanted vs the servers coming around. We wanted ham, on the menu but server came back to say it was frozen. Ran out of strawberry for crepes. Empty dishes left out and I had to ask for Nutella to be filled. Just not quite right for the price in my opinion. Carnevale Sunday Brunch was fun. Everything was great! I went to celebrate my birthday and everyone just made looks like I was in Brazil with my family!! I'm really really happy and I couldn't have chosen better place to celebrate my birthday!! Enjoy the food. Did not see all items being passed on the list. Had to ask several times for certain meats. But good food. Will go back. Sunday brunch was very crowded and we were seated 20 minutes after our reservation. There was line for the crepe, waffle and omelet station. The gentlemen said he would be right back with the pineapple and he never came back. For sure to try and judge for themselves. Very much enjoyed the Rioja wine. But many of the other wines priced more in line with the strip. The most tender best meat dish was the pork ribs. 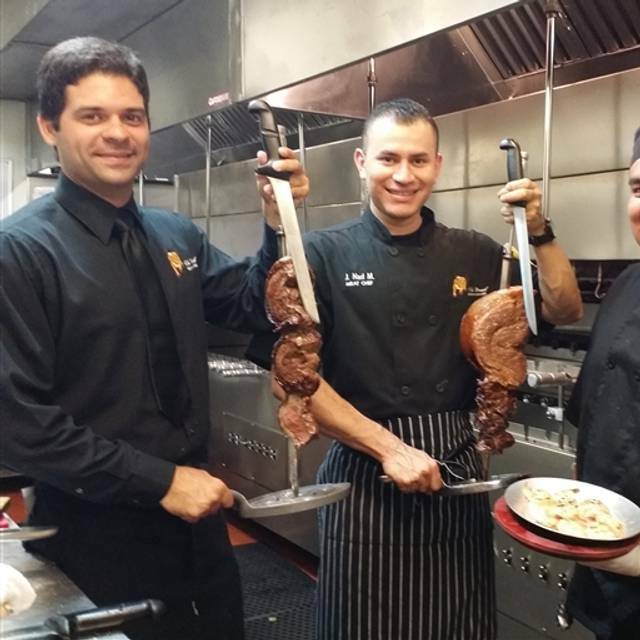 Many of the others as expected and compared to other all you can eat Brazilin steak houses. Service very good and someone always at or near the table. Had reservations at 2030, didn’t get seated til 2120 food was cold, didn’t serve everything that was advertised, then when the bill came I asked if they had military discount and they said no cause of Valentines Day, but then the manager gave 10% off the soda my daughter ordered for a whooping .45 off a $125 bill!!! Never again will go to Texas De Brazil from here on out!!! Our dinner reservation was for Valentine's Day so naturally it was going to be busy, but it seems that the restaurant was unprepared and understaffed—so it was inevitable that they got overwhelmed, clearly impacting the quality of the evening. What was upsetting the most was that we were seated but our waiter never got around to introducing himself, let alone asking us what we'd like to drink. After asking several employees, I finally found out who it was. Moreover, he only checked up on us once during our dinner and failed to serve what we asked for multiple times. We simply resorted to asking other servers to help out because our waiter simply left us feeling like we were in the dark. I spoke highly of Via Brasil before, but after this experience, I have to think twice before coming here. The night definitely left me more stressed out than it should have. 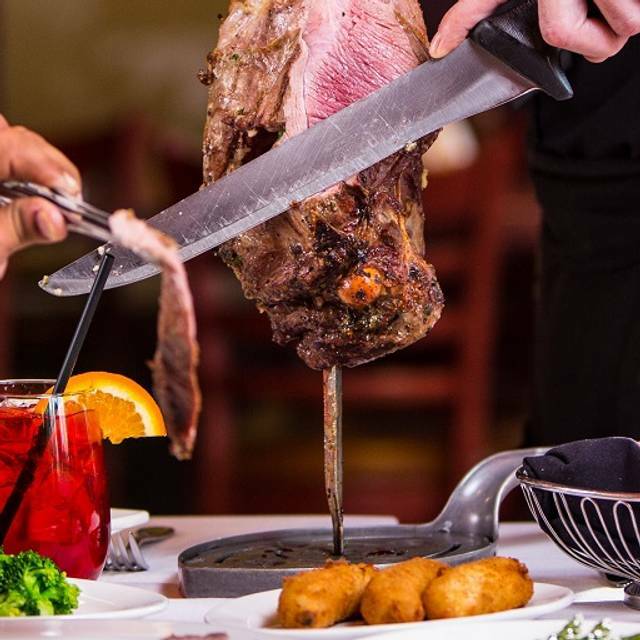 I think I would have rather driven to Texas de Brazil during the holiday rush hour traffic and I would have been less stressed out than this experience. Went with my husband for Valentine’s Day dinner. Was definitely the wrong day to go out because they over booked and we had to wait for our table for a while (even with reservation). We were sat all the way in the back of the restaurant so it felt like we were forgotten. Even the customers around us were complaining. It was just a bad day to go. Over all, everything was very good. We just need to go on a day that isn’t a holiday. Valentine's day was very busy but the front of the house staff did really well dealing with the people. Great food, great service. I love this place. Suggestion: try the fried banana with oranges. It's amazing and a brighter side than the savory food being served. I eat it instead of dessert. I had to ask my waitress a few times for bread because she kept forgetting. The guys walking around with skewers of meat kept skipping my wife and I for some reason. I had to tell my waitress that they kept skipping us . It was busy but it was frustrating, my wife and I decided to just leave before we were even done eating because of the poor service we had gotten. 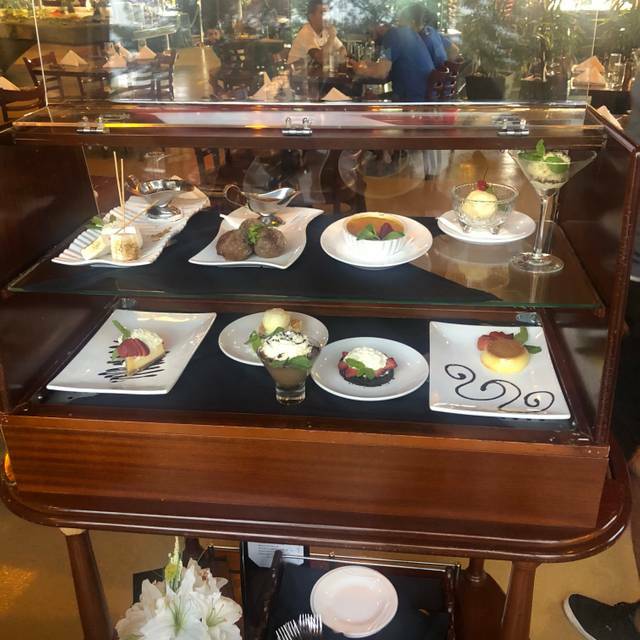 Food was amazing, service was fantastic and ambiance was excellent... we enjoyed our dining experience and will definitely eat there again. 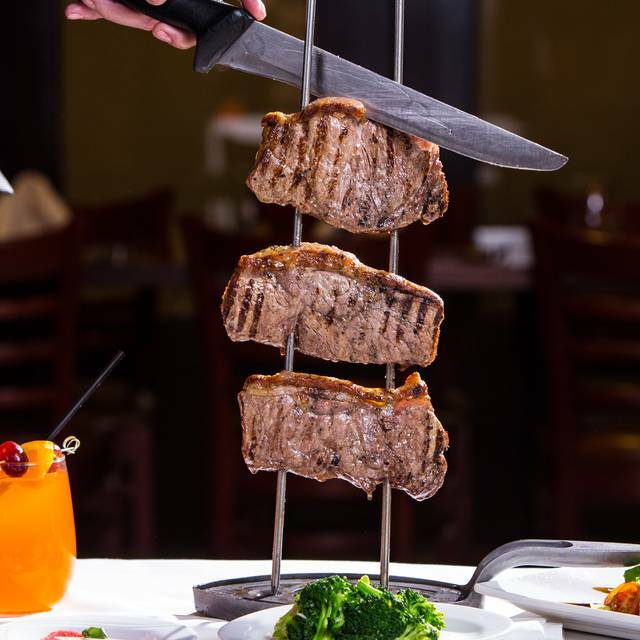 My boyfriend and I went to Via Brasil Steakhouse for Valentine’s Day. We had reservations but we waited 30 minutes to be seated. When I asked the host why it was taking long to be seated she told me they were supposed to seat us 20 min ago but they forgot. We came to this location because there was going to be live music but we were seated all the way in the back so we did not get to enjoy the ambiance. We had to wait 15 minutes to get the waitress to bring us the bill. The over all experience was horrible. It ruined our valentines date. Food is incredible. Go very hungry. We go here on special occasions because it is expensive but well worth it for the quality of the food and services. Good variety all-round, but quality could have been a bit better. Food was delicious and plentiful. I have been to the restaurant before and was delighted. I was not disappointed Sun. Thanks again for the wonderful service and food. See you in the near future. Great place and a lot of great food!! My husband and I went for new years and the food was wonderful, I mad reservations on line witch was easy and I called the day of just to make sure everything was right and it was but when we got there we had to wait another 20mins and we arrived 15mins early. I was cold the hole time I was there because we sat by the door and it was so cold I had to leave my jacket on and eat. The waitress was great and again the food was wonderful but the seating was not so great. The ambiance is wonderful and our server tried really hard, but he was overwhelmed. And the quality of the food was terrible. Very little meat selection -- not at all as good as some of the other steak houses in town. Definitely will not go there again! I absolutely love the salad bar! 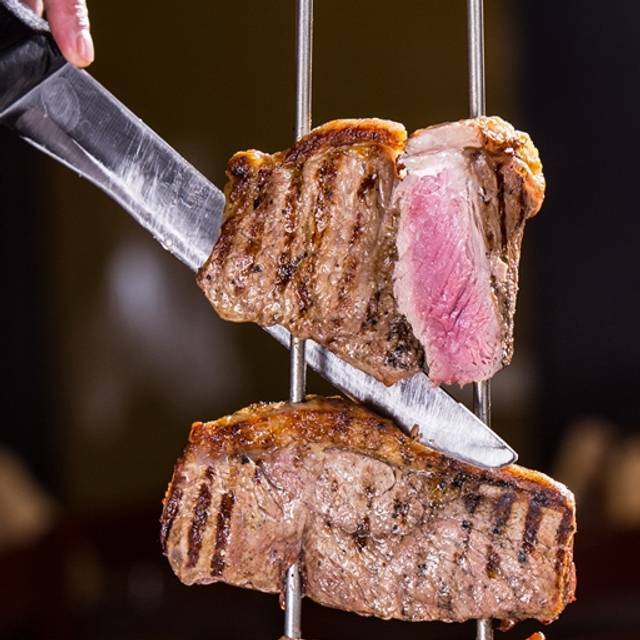 The rodizio has always been great. This time, I felt the meats had a little too much salt. I have visited Via Brazil several times within the past few years. This visit was just a notch down from previous years because the food was just too salty.